Lawrence Livermore scientists have come up with a new theory that may identify why dark matter has evaded direct detection in Earth-based experiments. A group of national particle physicists known as the Lattice Strong Dynamics Collaboration, led by a Lawrence Livermore National Laboratory team, has combined theoretical and computational physics techniques and used the Laboratory's massively parallel 2-petaflop Vulcan supercomputer to devise a new model of dark matter. It identifies it as naturally "stealthy" today, but would have been easy to see via interactions with ordinary matter in the extremely high-temperature plasma conditions that pervaded the early universe. "These interactions in the early universe are important because ordinary and dark matter abundances today are strikingly similar in size, suggesting this occurred because of a balancing act performed between the two before the universe cooled," said Pavlos Vranas of LLNL, and one of the authors of the paper, "Direct Detection of Stealth Dark Matter through Electromagnetic Polarizability". The paper appears in an upcoming edition of the journal Physical Review Letters and is an "Editor's Choice." Dark matter makes up 83 percent of all matter in the universe and does not interact directly with electromagnetic or strong and weak nuclear forces. Light does not bounce off of it, and ordinary matter goes through it with only the feeblest of interactions. 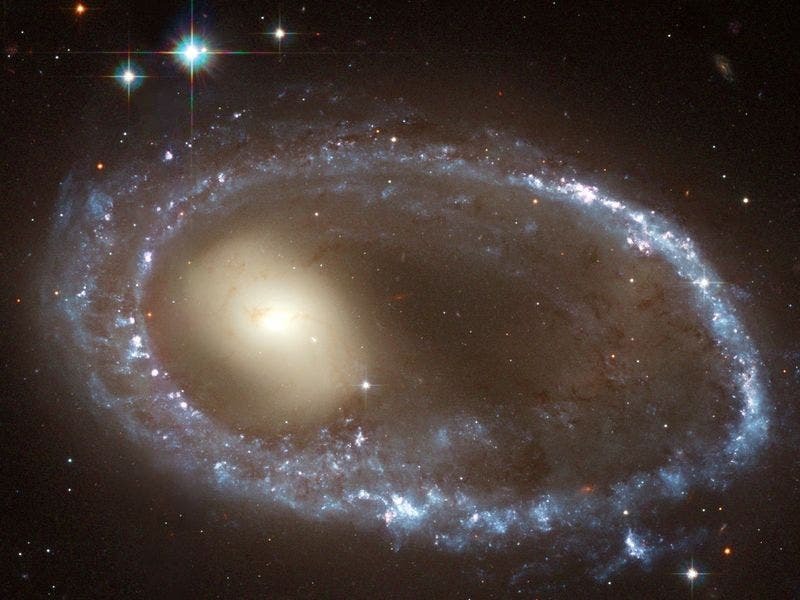 Essentially invisible, it has been termed dark matter, yet its interactions with gravity produce striking effects on the movement of galaxies and galactic clusters, leaving little doubt of its existence. The key to stealth dark matter's split personality is its compositeness and the miracle of confinement. Like quarks in a neutron, at high temperatures, these electrically charged constituents interact with nearly everything. But at lower temperatures they bind together to form an electrically neutral composite particle. Unlike a neutron, which is bound by the ordinary strong interaction of quantum chromodynamics (QCD), the stealthy neutron would have to be bound by a new and yet-unobserved strong interaction, a dark form of QCD. "It is remarkable that a dark matter candidate just several hundred times heavier than the proton could be a composite of electrically charged constituents and yet have evaded direct detection so far," Vranas said. Similar to protons, stealth dark matter is stable and does not decay over cosmic times. However, like QCD, it produces a large number of other nuclear particles that decay shortly after their creation. These particles can have net electric charge but would have decayed away a long time ago. In a particle collider with sufficiently high energy (such as the Large Hadron Collider in Switzerland), these particles can be produced again for the first time since the early universe. They could generate unique signatures in the particle detectors because they could be electrically charged. "Underground direct detection experiments or experiments at the Large Hadron Collider may soon find evidence of (or rule out) this new stealth dark matter theory," Vranas said. The LLNL lattice team authors are Evan Berkowitz, Michael Buchoff, Enrico Rinaldi, Christopher Schroeder and Pavlos Vranas, who is the lead of the team. The LLNL Laboratory Directed Research and Development and Grand Challenge computation programs supported this research. Other collaborators include researchers from Yale University, Boston University, Institute for Nuclear Theory, Argonne Leadership Computing Facility, University of California, Davis, University of Oregon, University of Colorado, Brookhaven National Laboratory and Syracuse University.